Headhunters regularly say they recruit rock star executives, but few know what that really means. The vast majority of executive recruiters have never known a single rock star. They haven’t a clue what it takes to perform at that level — at the very top — whether in front of a stadium of fans or in the boardroom. In fact, few executive recruiters have actually recruited executives and technologists who would qualify as an icon. Rock stars are unicorns. They are rare, if not magical, beings. Headhunters who’ve met the real thing get that. And I’m not saying that musical rock stars and corporate rock stars are equivalent. That is so not what I am saying. I’m not being literal. I’m saying to recruit at that level, a recruiter needs to operate at that level. The more time you spend with champions in any profession, the more capable you become at recognizing that talent in candidates on the verge of reaching the top. For the few of us who have gotten to know actual rock stars, the experience informs our understanding of the championship mindset, the qualities that compel executives and technologists to outperform everyone else on the planet. Real rock stars have taught me how to recognize the special mix of skills and abilities that it takes to rise to the very top in business. In fact, I have witnessed rock musicians so iconic they have shaped the very definition of “rock star”. Why Recruit Rock Star Executives and Technologists? Executive recruiters seek star quality in the candidates that we recruit so our clients can be more successful. Startups backed by top-tier venture capital firms require that level of performance to scale a company. They also need marquis-names to attract investors so they don’t run out of runway (money). Steve Jobs is a classic example of how rock star leaders attract followers. He inspired the cult of Mac. When companies hire a famed technologist, other engineers flock to work there. Talent acquisition becomes so much easier. But that’s not all. Headhunters focus on gifted executives because, as the Harvard Business Review reports, the best-of-the-best leaders have a way of getting even better. They use competition to hone their skills, and they constantly reinvent themselves to stay ahead of the pack. 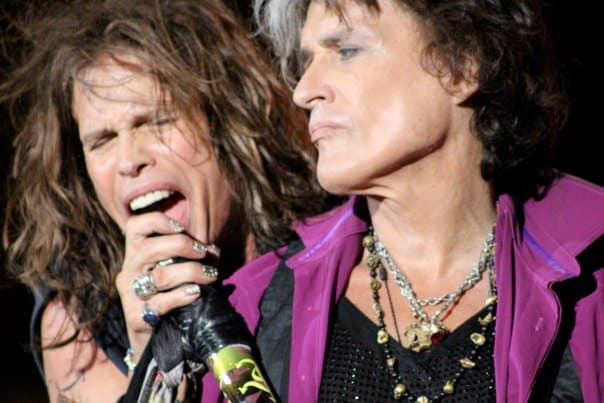 Steven Tyler and Joe Perry of Aerosmith at Fenway Park August 14, 2010. Photo by Krista Bradford. 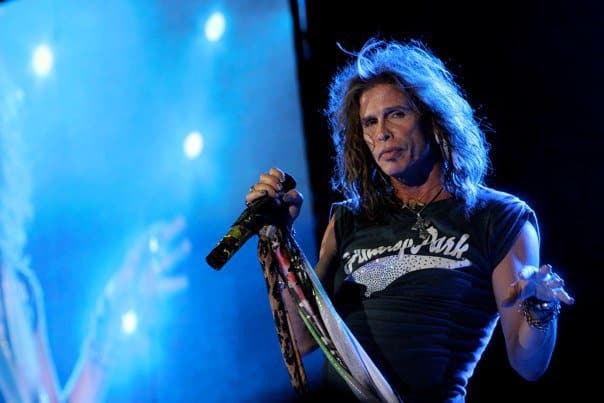 Steven Tyler of Aerosmith, Fenway Park, August 14, 2010. Photo by Krista Bradford. It’s crazy. Here I was this investigative reporter and TV journalist at the time — so not a musician — yet music kept popping into my life. It gave me glimpses of real genius. 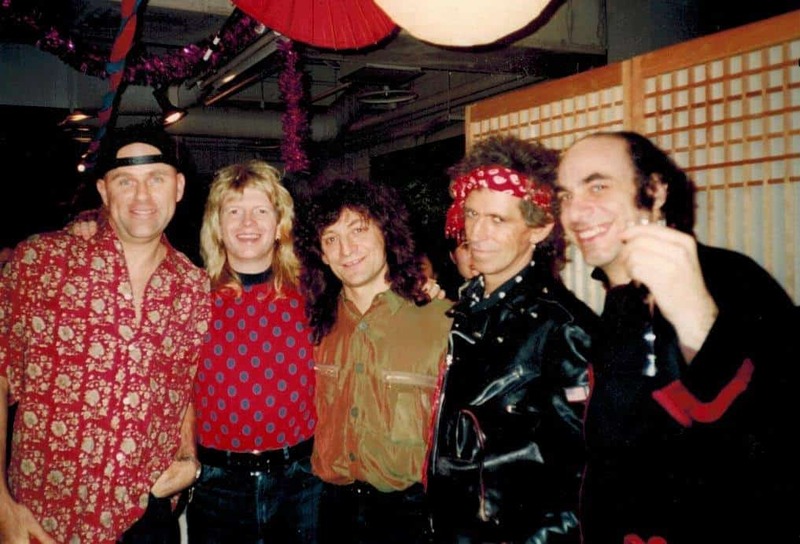 My husband Crispin Cioe (the guy in the middle in the photo below) has not only toured with rock stars that include the Rolling Stones, he’s played on more than 600 albums and is part of the famed horn section called The Uptown Horns. He’s scored motion pictures. (See Burnzy’s Last Call.) He’s composed and recorded his own music with his band Cracked Ice. (See Cracked Ice’s Soul Noir.) He has served as music director for the Mark Twain Prize for Comedy on PBS. (See Jimmy Fallon’s U2 sendup Beautiful Fey and Jack Black’s School of Rock rendition of Queen’s We Will Rock You.) He’s played with Aretha Franklin, and James Brown, and Cold Play, The list goes on. Between the two of us, we have spent a lifetime studying what it takes to be iconic. Sometimes, they think so far outside the box they can be hard to follow. Their minds take quantum leaps. In tech, frequently their brain’s processing speed is off-the-chart. If they’re a creative, their thought process may be more circular than linear. With that caveat, here are the skills and abilities I’ve witnessed in the rock stars I have known in the C-suite as well as with the band(s). You need other-worldly talent. There is a savant quality that rock stars have. I’ve seen the same thing in gifted technologists and executives. One iconic musician I know dreamed he could play the guitar and woke up to discover that he actually could. He’d never touched a guitar in his life or had a lesson. How is that even possible? Genius software rock stars have the same ability. Rock stars in any field have a vision of what they are creating for themselves and they go create it. That is their reality. They manifest their destiny. 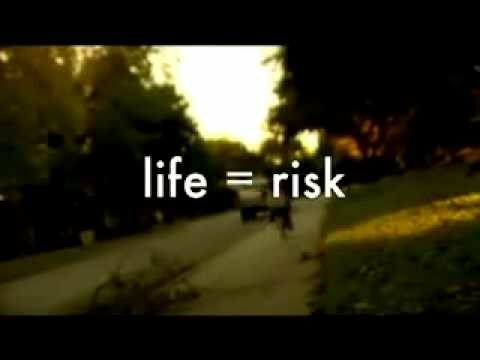 They call it into being. It sounds like an exaggeration but ask them. Rock stars really do this. The vast majority knew they would become a star at the outset or the best at what they do. Or they already thought of themselves as a star and stuck with it long enough until everyone else thought the same thing. Michael Jordan was known for practicing ridiculous hours every day. Before regular practice started, Jordan would even practice at his house. Eventually, his work ethic rubbed off on his teammates, making the Chicago Bulls one of the best NBA teams in history. Rock stars put in the time to perfect their craft that so that when it comes time to walk on stage, they don’t have to be up in their head and think when they perform. The music flows. Clocking Malcolm Gladwell’s 10,000 hour-rule makes a difference. Have you ever been so engrossed in work that you lost track of time? That is what is called a state of flow, a type of concentration that enables peak performance. Rock stars are masters of flow, which is considered the most productive and creative state of mind in which to work. Often flow produces a sense ecstasy where work seems effortless. Performers and athletes enter that state when on stage or competing for the championship. Rock stars have the ability to simplify the incredibly complex. A rock star technologist can distill thousands of lines of code into a single expression. Steve Jobs simplified Apple’s product line and the design of its products. Miles Davis could fill a room with a single note.The best are inherently minimalistic. Their leaps of creativity shed what is unnecessary so that what remains is inspired work. Rock stars are like the Energizer Bunny. They keep going and going. They don’t call in sick. On a tour, your show up unless you require hospitalization. The best-of-the-best regularly clock long hours without complaint. The long hours are offset by the satisfaction they get knowing it makes them better at what they do. They get satisfaction by what they create. Because they work in a state of flow, hard work isn’t as hard as it is for those who can’t lock into that level of concentration. The video below gives amazing examples of VIPs who persisted. So the next time a headhunter tells you he recruits rock stars, ask what time he’s spent with the best-of-the-best, whether real rock stars, champion athletes, or corporate wunderkinds. If they return a blank stare, find a recruiter who has the experience to recognize the nuanced mix of skills that makes someone a top-performer. Also, to avoid wasting your time with candidates who are not contenders, check out our post 6 Signs an Executive Candidate is a Waste of Time.